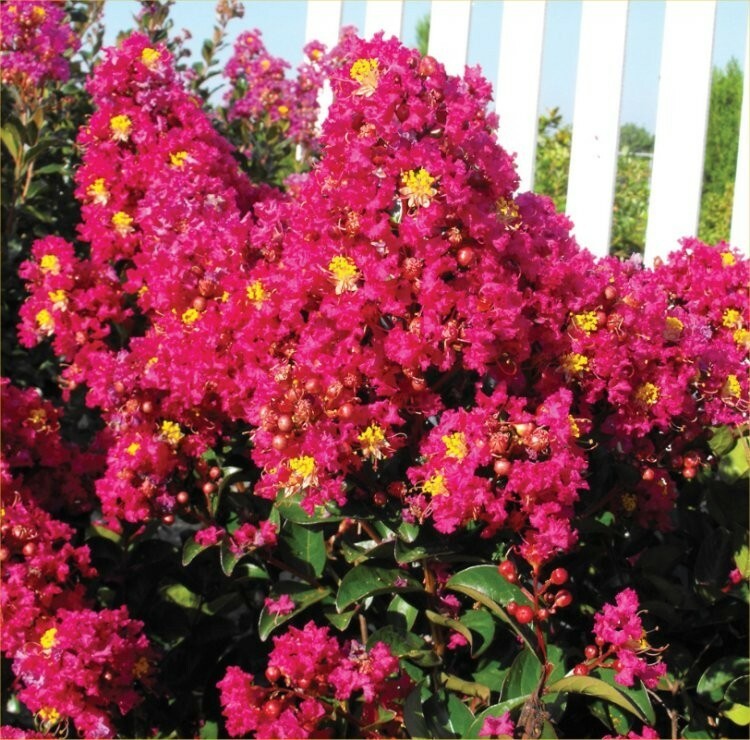 Largerstroemia Berry Dazzle is a brand new variety of compact dwarf crape myrtle that has been specially bred in the USA to provide good sized plants that flower well in a more northerly climate - even here in the UK! Berry Dazzle is fully hardy, resistant to a winter chill but also high heat in summer in full sun, it is compact and will reach around 1.2 metre high and wide at maturity forming a neat flowering mound. 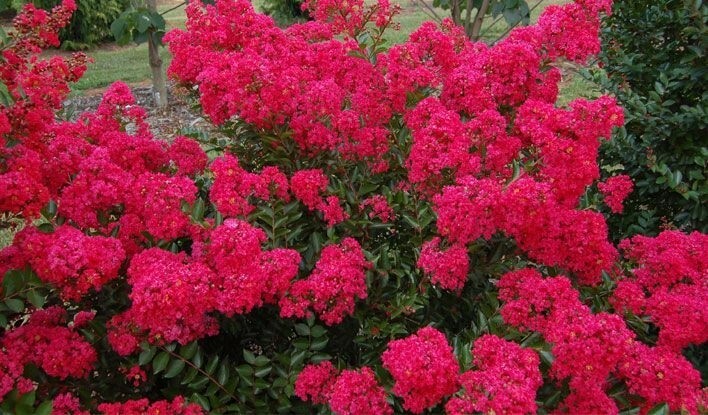 Very easy to grow, disease resistant and freely flowering, these plants are sure to become more popular in Britain thanks to a new generation of varieties such as Berry Dazzle. 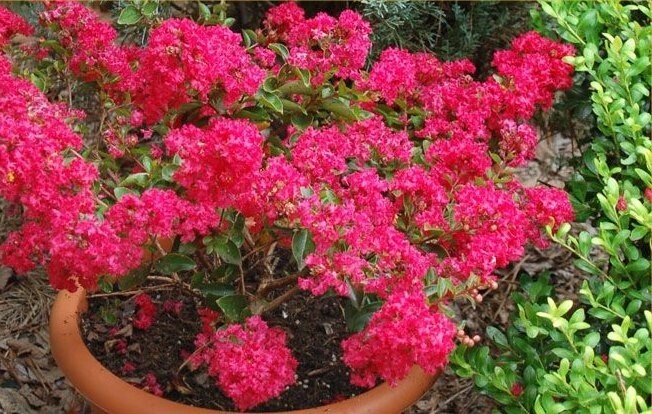 A shrub that really packs a punch, the new foliage emerges with vibrant burgundy red colouration. Brilliant fuchsia-purple blooms then appear, providing fantastic summer colour right in to the Autumn. Berry Dazzle is the perfect plant for any border or landscape, also doing really well in containers. Largerstroemia are originally native to south east Asia, and are extremely popular in the US, particularly in the more southern states. Thanks to the discovery of a near extinct species on a remote Japanese Island, and breeding work by renowned horticulturalists in the states new varieties are now available that will prosper well in Britain and northern climates, flowering well even with lower temperatures and light levels. Not to be missed, this new and exclusive variety will really add a talking point and a new dimension to UK gardens. Supplied full of buds and flowers in season in approx. 1 litre containers.